Testing and tagging Electricians that are qualified that come to you and test your equipment on site for a fixed cost per test tag! Our Professional Testing and Tagging Systems come in a fully Portable testing and tagging set up, for easy movement around your site, office, school, workshop, Nursing home or Hospital. 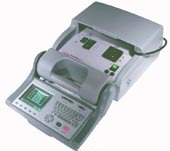 Test tag printer for on-site printing of durable and customised test tags which are attached to you appliance or lead. To move this portable testing and tagging unit we arrive with a lightweight, "A" frame based trolley designed to transport the permanently mounted Testing and tagging machine and test tag printer. The "A" frame collapses for easy transport and storage. Pneumatic tyres allow for easy transport over uneven surfaces and stairs. This tester was designed from the ground up to comply to AS/NZ3760:2003 like no other testing and tagging machine on the Australian market. From 250V testing of MOV devices through to leakage tests for Class II appliances with an electronic switch, the Testing and tagging machines software is fully customised to the requirements of AS/NZ3760:2003. From its powerful testing and tagging results recording and download capabilities to its user-friendly interface characteristics, This testing and tagging machine offers maximum scope for ensuring complete & accurate testing and tagging, whether industrial machinery, construction tools, extension leads, power boards or sensitive IT equipment form the basis of your PATS program. In business, time is money, so the speed of testing with this state of art tester (when multiple earth paths exist, for example) will mean that it is one of the best accident prevention investments you could have. Rapid boot-up is complete in less than two seconds, and a real-time clock eliminates the need for date entry. Accurate earth bond and leakage measurement even when multiple earth paths exist. Stores up to 5,000 memory locations including appliance number, site, location, user, test status and date. This Testing and tagging System was released in late 2001. 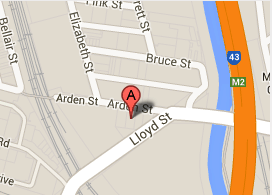 It is now Australia's leading professional, high volume testing, tagging and asset management system. Users include government, schools, colleges, universities, manufacturing, hotels, construction, mining, telecommunications, broadcast, hire industry, electrical contractors and safety consultancies around Australian and New Zealand. Computer based automated systems are improving efficiency across all areas of our daily lives. It was only a matter of time before automated testing and tagging systems were introduced that would dramatically decrease the time spent on the manual processes of appliance testing, log book entry and handwriting test tags. The benefits of this new technology are not only improved testing throughput, from 8 to 12 tests per hour up to 30 or more tests per hour, more accountable and accurate record keeping for clients and a guarantee that testing procedures fully comply to AS3760:2003 in ways that are impossible with the use of a multimeter and an insulation tester when writing the test tags by hand. "New To Service" (NTS) Software Utility allows Printer users to simply and quickly print customised "New To Service" tags from a laptop or personal computer connected to the Printer. * Users can be assured that the "new" status of a installed item is guaranteed and cannot be confused with an untagged item. * The individual responsible for testing and tagging items at the site would be certain that the item is new to service and was not omitted from a previous round of tests. * The individual responsible for testing and tagging items has all newly introduced items conveniently tagged with an appliance number and appliance number bar code, which speeds up the test procedure. NTS tags are customised with the service provider's name and phone number. This is an ideal way to either promote the service or highlight the individual responsible for testing and tagging items. NTS tags can be printed in advance, e.g. a roll of 100 tags and supplied to the individual responsible for appliances and leads at a site. NTS tag users should be instructed to tag all new items at time of introduction at that site. If your current testing and tagging program simply involves the use of a multimeter and an insulation tester or the low cost Pass/Fail PAT testers on the market, then you should be aware that this type of testing does not comply with the requirements of AS/NZ3760:2003. It is now mandatory for leakage current tests to be undertaken with Class I and Class II equipment that has an electronic, magnetic or membrane type on/off switch. Most modern office equipment uses membrane type On/Off electronic switches as do many power tools. Examples of magnetic switches include new toasters (which will not latch without power applied) and some new power tools. Insulation testing of these appliances no longer complies with AS3760:2003. Such appliances must be powered to get past the electronic or magnetic switch. You may be passing an appliance, which has a fault beyond the switch! Under these types of circumstances, a Class I item requires a leakage current test to be with maximum leakage of 5mA and a Class II item requires a leakage current test to be conducted with a maximum leakage of 1mA. These types of tests must be available on your appliance testing instrument to comply to AS/NZ3760:2003 and are not found on any handheld testers or models that are manufactured to British or other overseas standards. 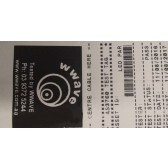 The Testing and tagging Machine Wwave uses was designed from the ground up to comply to AS3760:2003. All Class I appliances have a protective earthing conductor as their safeguard against electrical faults. The tester allow for testing of this earth connection with a current of 25A, stressing the earth connection and searching for poor earth connections of a few strands or less. This cannot be achieved with a digital multimeter or an insulation tester, but only with a dedicated appliance tester that provides a 25A earth bond test. The use of anything other than a 25A appliance tester is only checking the earth continuity, and not the integrity of the earth bond. In a worst case scenario, an appliance tested with a multimeter or insulation tester may return a pass reading for earth continuity, but in reality was only connected by a single strand with would burn out. If the appliance subsequently developed a fault and fault current flowed through the earth conductor fusing the connection, the appliance will then look for a suitable earth, which could be the operator; a 25A earth bond test is widely regarded as "Best Practice" for testing the earth connection of an appliance.